From 1947 to 1961, Bristol used the prewar 2-liter BMW six-cylinder engine, initially with the 400 BMW body but later with streamlined superleggera 401-402-403 designs, using alloy panels over a wooden skeleton and steel frame. The cars got bigger and heavier, and by the time of the 1958 406, the BMW engine had gone as far as it could, with 105 bhp and not any more development potential. 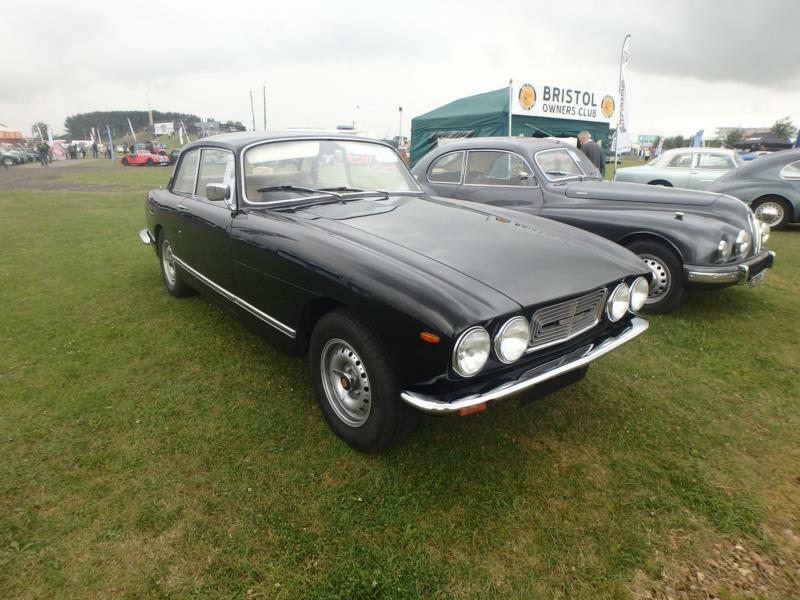 The BMW-derived engine was finally withdrawn in 1961 and the 1961-63 Bristol 407 finally got the engine it desperately needed in Chrysler’s 250-h0, 5-liter OHV V-8. The 407 was only available with a three-speed automatic transmission and only 88 were made. Most went to America. Subsequent 408s, 409s, 410s and 411s were built from 1963-76, gaining power brakes, power steering, air conditioning and self-levelling suspension. Sales were still modest, with 83 408s, 74 409s, 79 410s and 287 411s, but it looked like the company had found its niche. Bristol was going after a slim market, however, rather like buying a Savile Row suit. Bristols were bespoke and quite magnificent pieces of design but aesthetically subdued. Some might even call them dull. The press never got to test new Bristols and embittered stories can be found on the subject. In 1975, Zagato designed the 412, with controversial “breeze block” styling. After a year as a convertible it developed a jumbo fixed roll-bar and removable roof panels as was the fashion. A turbo Beaufighter model was launched in 1980 and was the only 412 available after 1982. The next new design was the 603, which then evolved into the Britannia, Brigand and Blenheim in 1982 and was still in production at the time of the 2011 receivership, often constructed from older donor models. Bristol was owned by former racing driver Tony Crook and Sir George White from 1960 to 1973, at which point Crook bought out White. Toby Silverton became co-owner in 1997 and he bought out Crook in 2001, spurring the development of the remarkable Bristol Fighter gullwing coupe. Powered by a twin-turbocharged, 1,012-hp Dodge Viper 8.4-liter V10, the Fighter cost a staggering £256,000. It’s top speed was limited to 225 mph, though true top speed is rumored to be somewhere near 270 mph. Used Bristols rarely come up for sale and most of the 1960s and 1970s cars are almost unnervingly thirsty with their gigantic V-8s. Considering their bespoke nature and their rarity, the classic Bristols that actually do come up for sale offer a lot of car for the money. Their inconspicuous styling means that you won’t be getting lots of thumbs up and kids taking out their phones to snap a picture, but it’s a near guarantee that you won’t see another one coming the other way.